delivers fuel to the fuel injector. receives fuel from the fuel supply line. controls air supply to the upper intake manifold by positioning the throttle plate. connects the accelerator cable and, if equipped, the speed control actuator cable to the throttle lever. 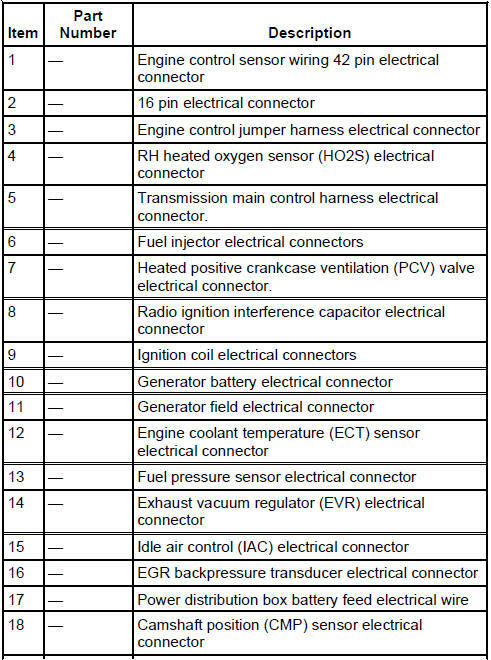 is electrically operated by the powertrain control module (PCM). has an internal solenoid that opens a needle valve to inject fuel into the lower intake manifold. atomizes the fuel as the fuel is delivered. is deposit-resistant. Do not clean. is used to inspect and relieve fuel pressure.